This is another TV interview spot that aired yesterday in Canada. The whole program is great and Tom’s short spot begins at 24:40. 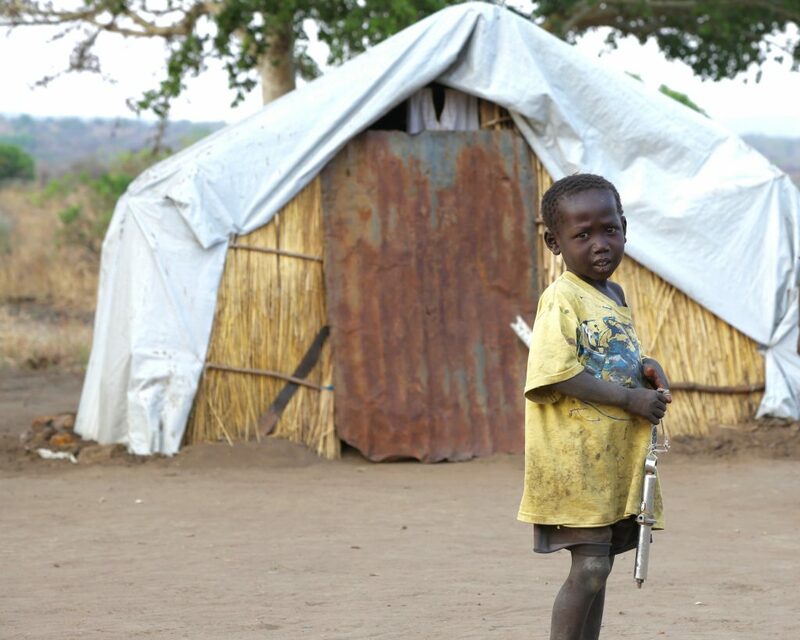 Please continue to pray for peace in South Sudan. 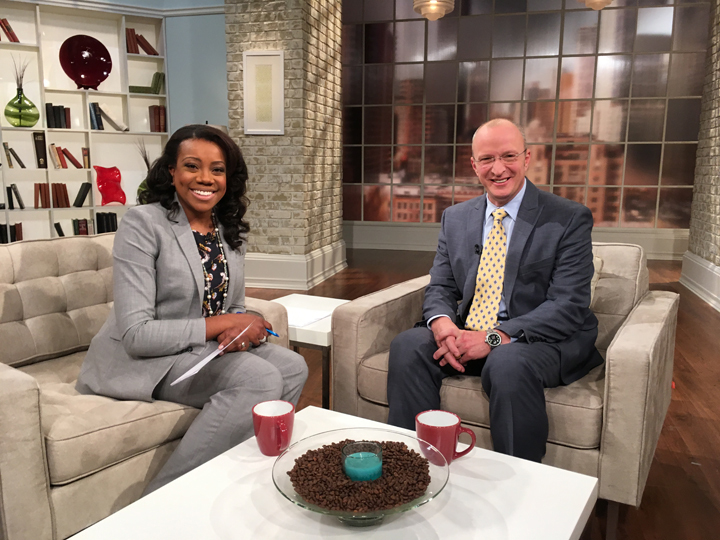 I had the opportunity to be interviewed on 100 Huntley Street (Canada) some time ago and it was aired today. I was humbled to be interviewed by such a fine Christian lady. I thought I would post these “clips” to give you an idea of what we discussed. My sincere thanks to all of you who make this work possible! Please “click” on links to watch. During the month of October, three villages that surround the village of Koggi (where GRN has worked for the last four years) were raided by “rebel” forces, and as a result, more than 1,500 people were left homeless. As a result, an internally displaced people (IDP) camp was set up in Koggi. 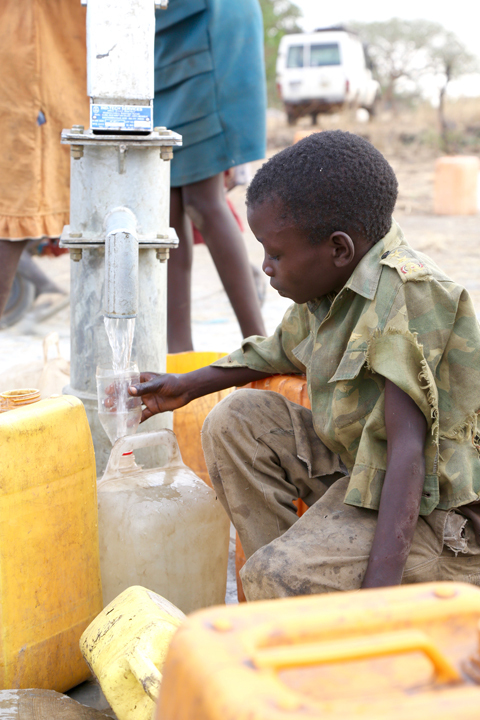 Having more than 1,500 people added to the community has created a desperate need for water. Immediately, the water system became overwhelmed, and people were being forced to walk more than a mile (one way) just to get water. 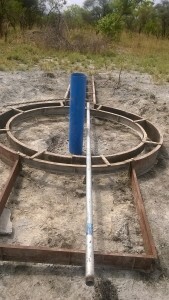 GRN saw the need and responded by having a well drilled within a hundred yards from the new IDP camp. 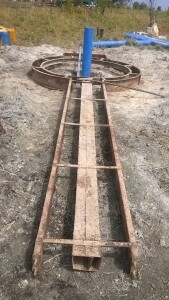 Although there is a need for another well, the people in the camp are so happy to have clean water so close. Here are a few pictures from my trip in January. 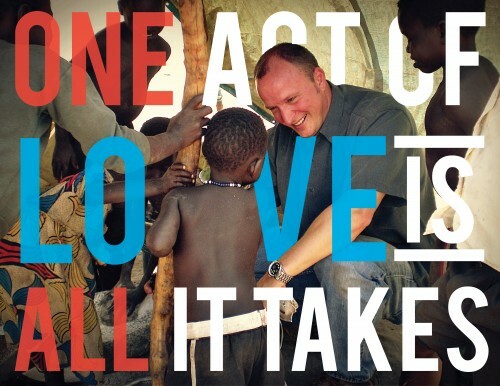 Please pray for peace in South Sudan! 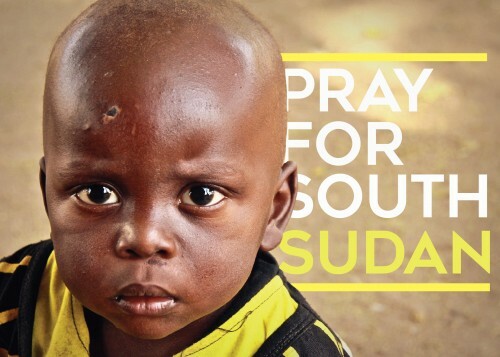 Many of you have asked what the best way to pray for South Sudan is, so we have compiled a short list for you with the hopes that it will help you pray more effectively. 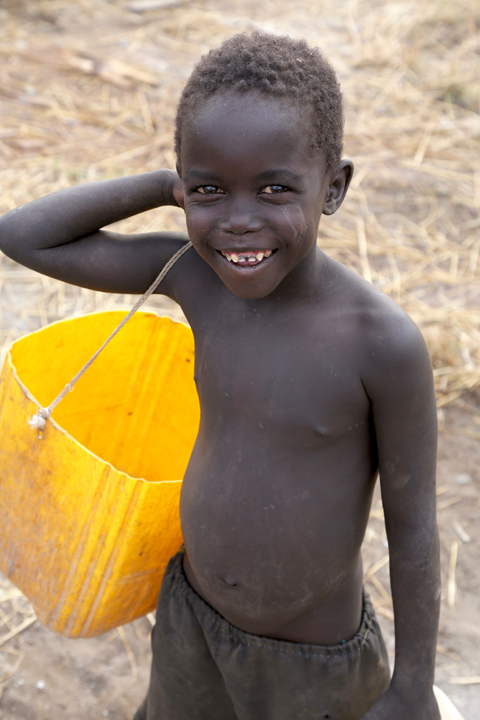 On behalf of the people of South Sudan, we at GRN want to thank you for your prayerful support. 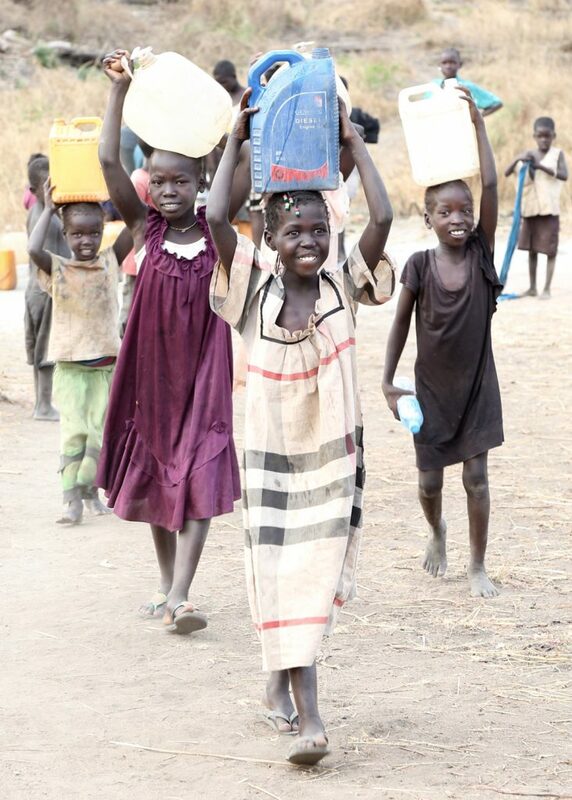 1) Pray for God’s grace to overcome the trauma that so many people are experiencing right now in South Sudan. 2) Pray for the innocent villagers who are suffering due to the prideful sins of others. 3) Pray for the villagers to have the ability to return to their fields and begin to plant food again. 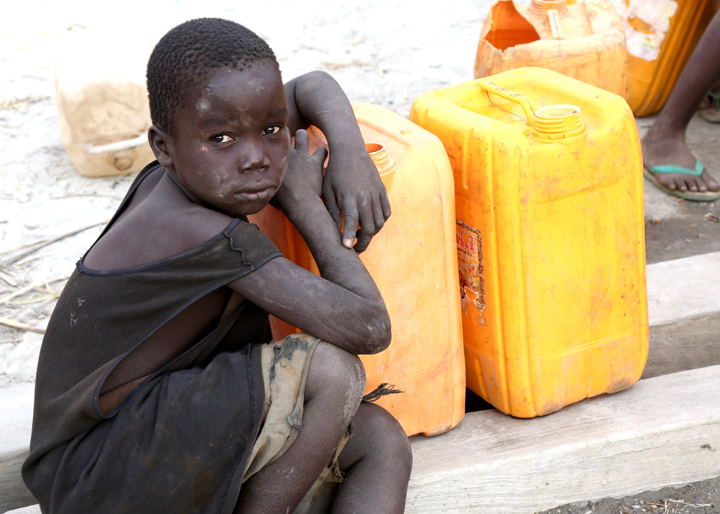 4) Pray for the over 4 million people who are on the verge of starvation. 5) Pray for the almost 2 million people who have been displaced. 6) Pray for a godly awakening to occur among government officials. 7) Pray for the ability to forgive those who are causing so much emotional and physical pain among the innocent. 8) Pray for overall peace in South Sudan. 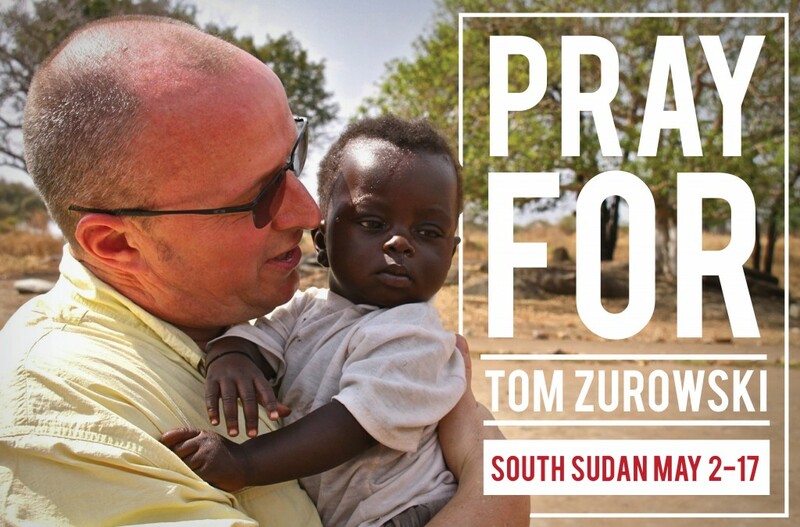 Please keep Tom Zurowski (GRN director and founder) in your prayers, as he prepares for his next trip to South Sudan. He will be departing May 2, this coming Monday, and will return May 17. Thank you all for your support as GRN continues to do its best to be the light of Christ to the people of Koggi, South Sudan! God bless! 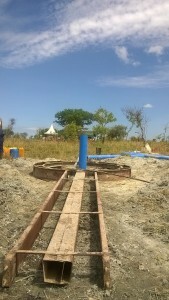 New Water Well in Koggi, South Sudan! 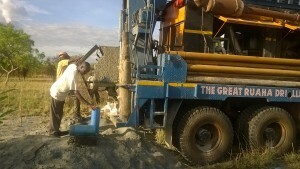 Many thanks to all those who contributed to the the drilling of 1 of 3 water wells that are needed in Koggi, South Sudan! We are very thankful for your love and support in this project! 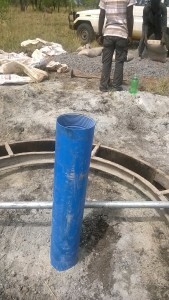 Please continue to pray that God would provide the funds that we need to finish the 2 other wells and the necessities needed in Koggi. The team and I are doing well and continue to pray, and work hard, for the people of South Sudan. The security situation here, in South Sudan, continues to be an issue and is yet to be resolved. It has become almost impossible for the two sides (The current President and former Vice President) to form a peaceful government! Everyone in the current government is unsafe, for they fear they may be out of their offices any day, to pave way for the formation of the government of National Unity in South Sudan. However, we are working with the community (Koggi) to find ways how to coexist within this prevailing situation. The local people’s coping mechanisms are deteriorating each day. Lobonok (an area near Koggi) was elevated into a new county, so there is a new county commissioner (A Mayor of sorts) there. This may speed up the issue of bringing back peace and security into our area of operation as well. Furthermore, we still remain hopeful. In other news, our tractor is in need of two big wheels. We need the tractor so we can collect sand, and rocks, during the remaining part of the dry season. The onset of the rainy season is expected sometime next Month/April. I am working on getting the prices for the wheels today. Thank you everyone for your love and support! Please continue to pray for peace of South Sudan! 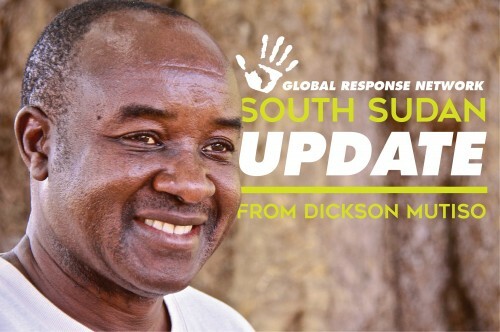 Please continue to pray for GRN as we do our best to reach, give to, and love the people of South Sudan! Your support toward GRN truly does help make it possible for us to be God’s voice and hands, and we greatly appreciate it!